This entry was posted in Maria B on April 5, 2015 by admin. The Sunday magazine of the leading English language broadsheet featured the official MARIA.B. 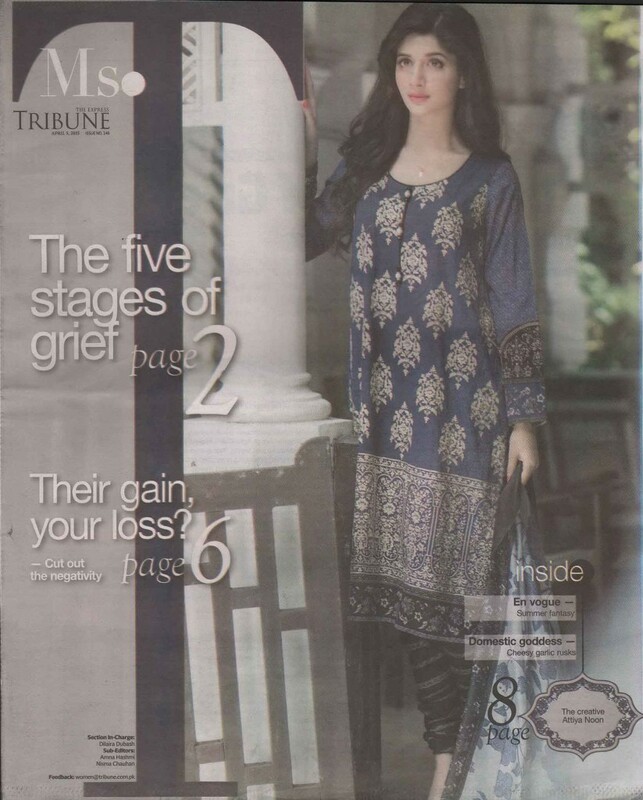 Lawn 2015 photoshoot in a two page spread. The Sunday magazine of the leading English language broadsheet featured MARIA.B. 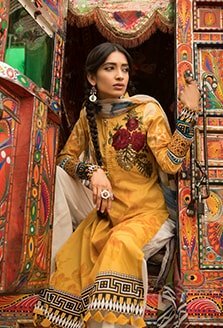 in a piece on fashion brands and e-commerce. This entry was posted in Maria B on April 4, 2015 by admin. 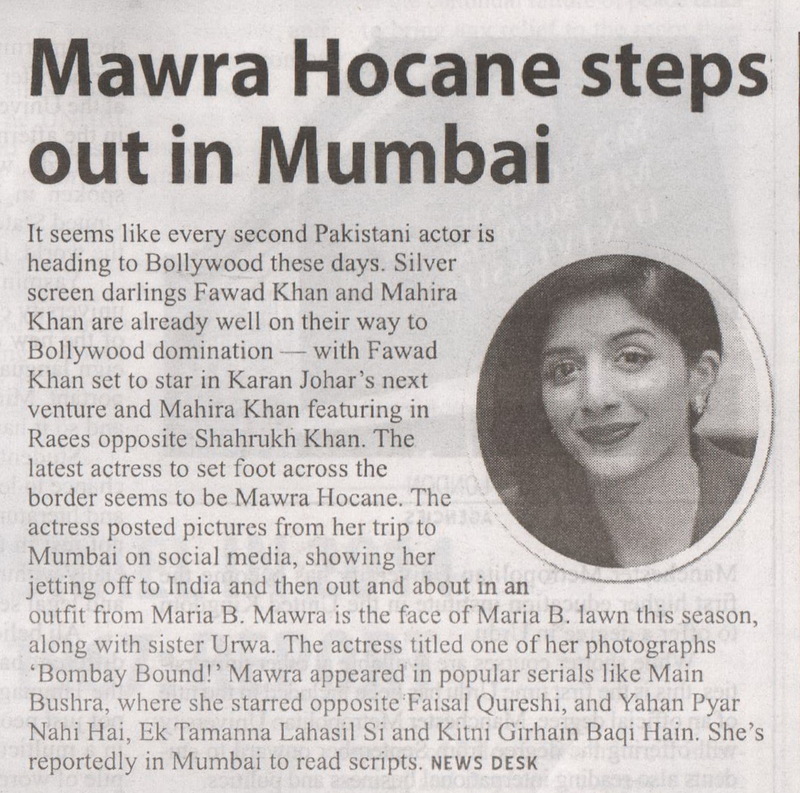 The leading weekly fashion, entertainment and lifestyle magazine featured a newsbyte on TV personality Mawra Hocane which mentioned her as being the face of MARIA.B. Lawn 2015. This entry was posted in Maria B on March 29, 2015 by admin. 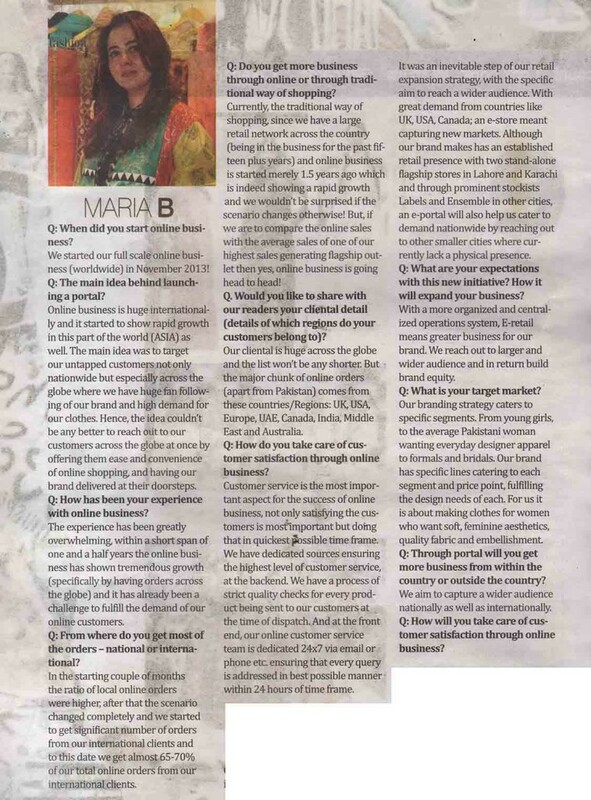 The Sunday magazine of the leading English language broadsheet featured MARIA.B. Lawn in its Editor’s Picks section. 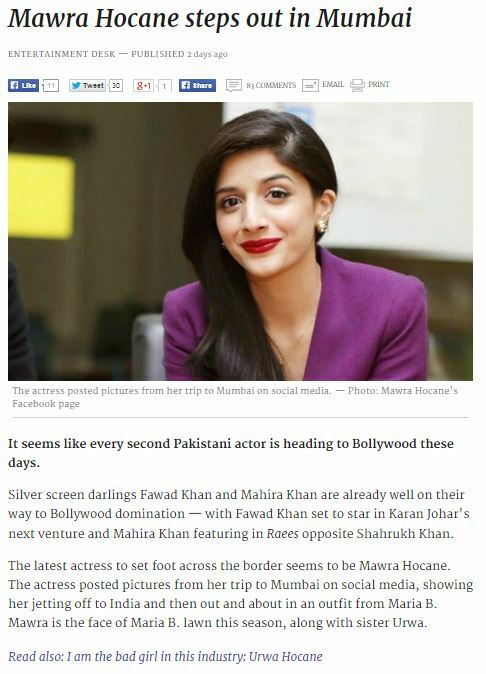 The leading English language broadsheet feature a report on TV personality Mawra Hocane and mentioned that the actress, along with her sister Urwa, were the face of MARIA.B. Lawn 2015 this year. 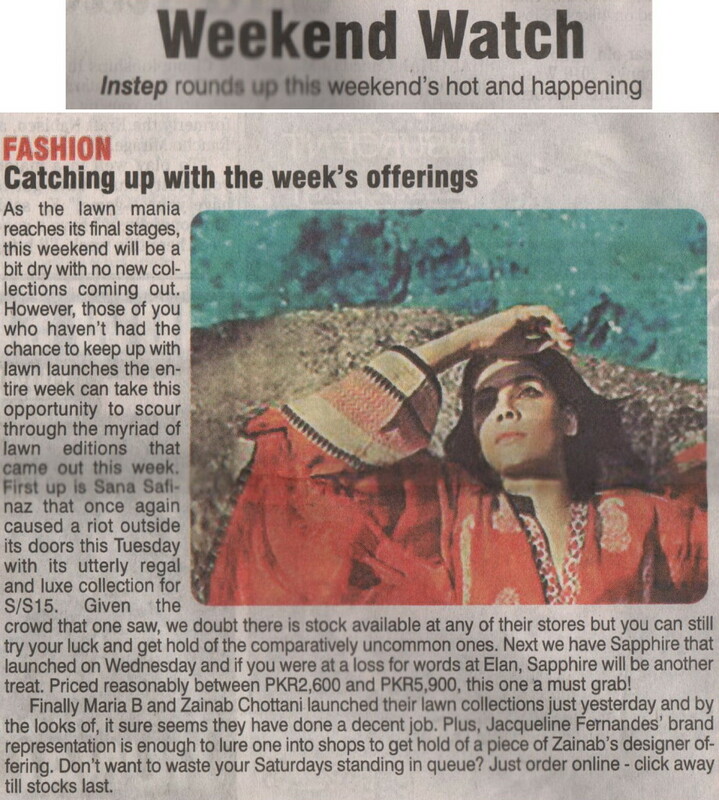 The Sunday magazine of the leading English language broadsheet featured an image of Sofia Mirza wearing MARIA.B. in its Revealed section. This entry was posted in Maria B on March 28, 2015 by admin. The leading weekly fashion, entertainment and lifestyle magazine featured MARIA.B. Lawn 2015 in its Chill Out section under the Shopping heading. The website of the leading English language broadsheet mentioned MARIA.B. 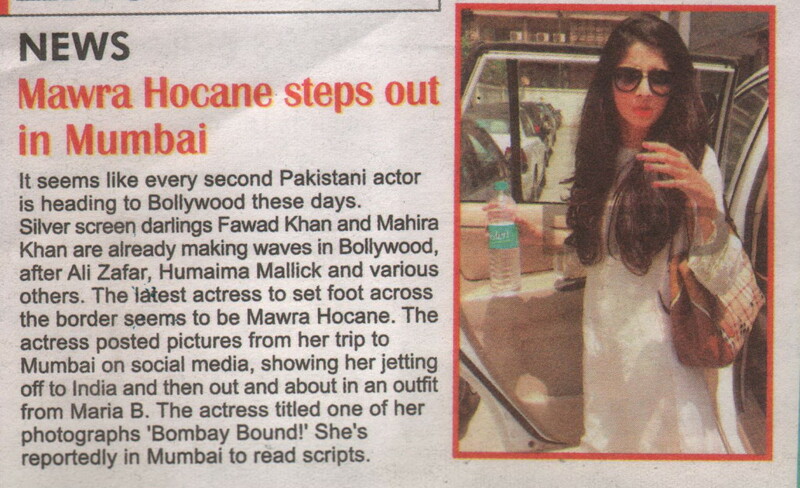 in a piece on TV personality Mawra Hocane. This entry was posted in Maria B on March 27, 2015 by admin. The Life & Style section of the leading English language broadsheet mentioned MARIA.B. 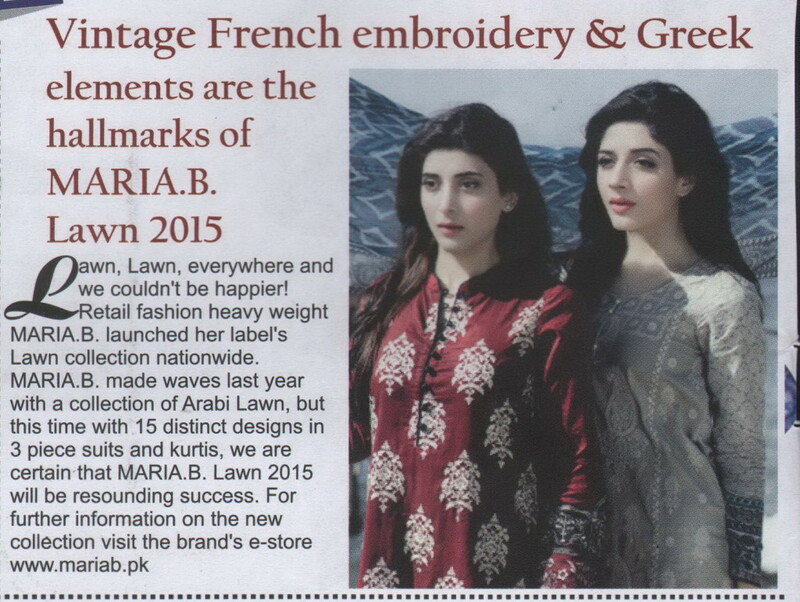 Lawn 2015 in a piece on Lawn fashion. 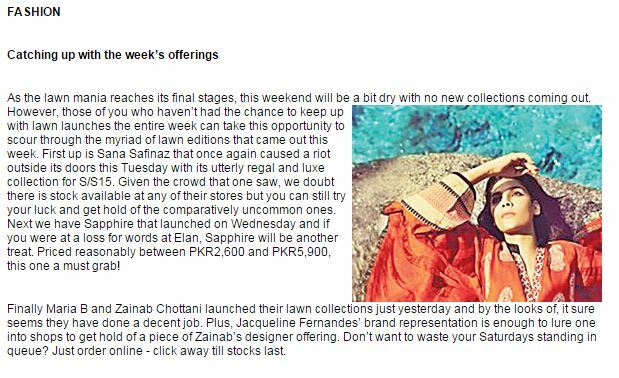 “Finally Maria B… launched their lawn collection just yesterday and by the looks of, it sure seems they have done a decent job.